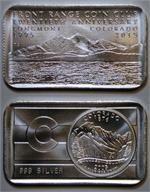 One of 15 first strikes with flat edge. 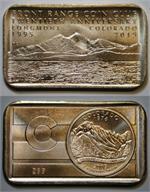 1915-2015 Rocky Mountain National Park centennial medal, copper. 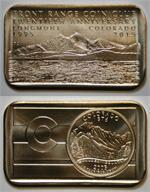 1915-2015 Rocky Mountain National Park centennial medal, brass. 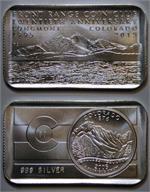 1915-2015 Rocky Mountain National Park centennial medal, silver.